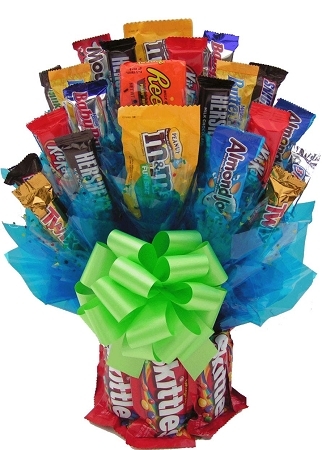 The perfect candy gift bouquet for the Skittles™ and chocolate candy lover in your life! 5 large Skittles pks.and 12 fun size chocolates and candies. 8 large Skittles pks.and 23 fun size chocolates and candies. Great for get well gifts, house warmings, and holidays.